Discover the origins and traditions of world religions! With so many religions in the world, it isn't always easy to recall each faith's key influences, spiritual figures, and dogmas. 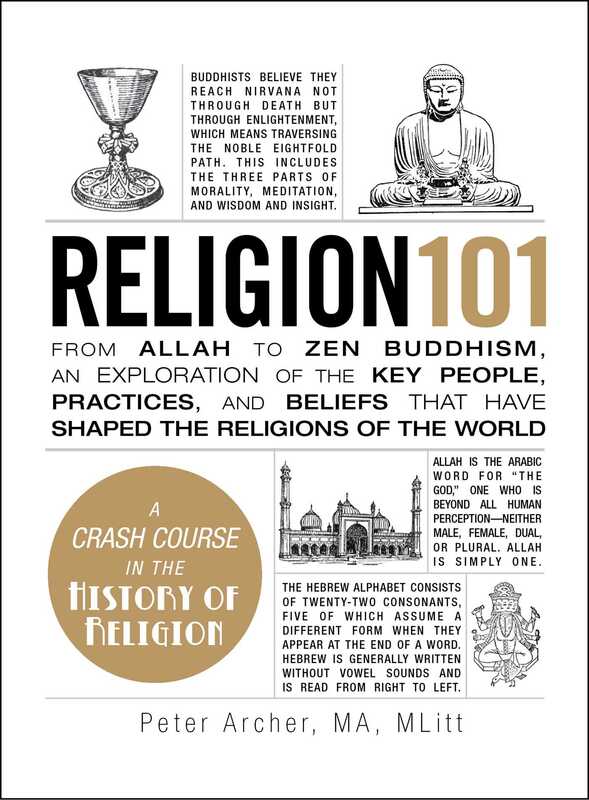 Written in easy-to-understand language, Religion 101 offers a fascinating--and memorable--glimpse at the sacred stories, traditions, and doctrines that have influenced today's most popular religions. From Jesus and the Four Noble Truths to the Buddhist Wheel of Existence, this book provides you with thought-provoking insight into the customs and beliefs of common faiths like Christianity, Judaism, Buddhism, and Islam. Inside, you will also discover hundreds of important religious facts, illustrations, and thought puzzles that you won't be able to find anywhere else. So whether you're looking to unravel the mysteries of existence and meaning, or just want to find out what Kabbalah is all about, Religion 101 has all the answers--even the ones you didn't know you were looking for.